Over the past couple of years, the Ramsey Police Department has been met with many challenges. Hurricane Irene blew into Ramsey causing extensive wind damage. The October 2011 snowstorm created major interruptions to our power grid and tried the nerves of all Ramsey residents. On October 29, 2012 Hurricane Sandy devastated our town. Hundreds of trees were uprooted causing damage to homes, blocking roadways and destroying the power grid. During this storm, Captain Raymond Bailey of the Ramsey Police Department, was severely injured when a tree fell on him at the intersection of Oakridge Road and Darlington Avenue. Due to his injuries, Captain Bailey was forced to retire. – The Ramsey Police Department will be promoting officers to the rank of sergeant, lieutenant and captain before the end of this year. As the Chief of Police for over ten years, I have seen many challenges that the Ramsey Police Department have encountered. I have also seen the police department meet these challenges without wavering. This would not have been possible without the support of the Mayor and Council, and more importantly, the community that we serve. I want to thank the residents of the Borough of Ramsey for their continued support. 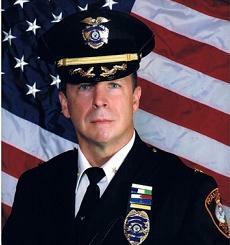 It will be my distinct and continued honor to serve as your chief of police.